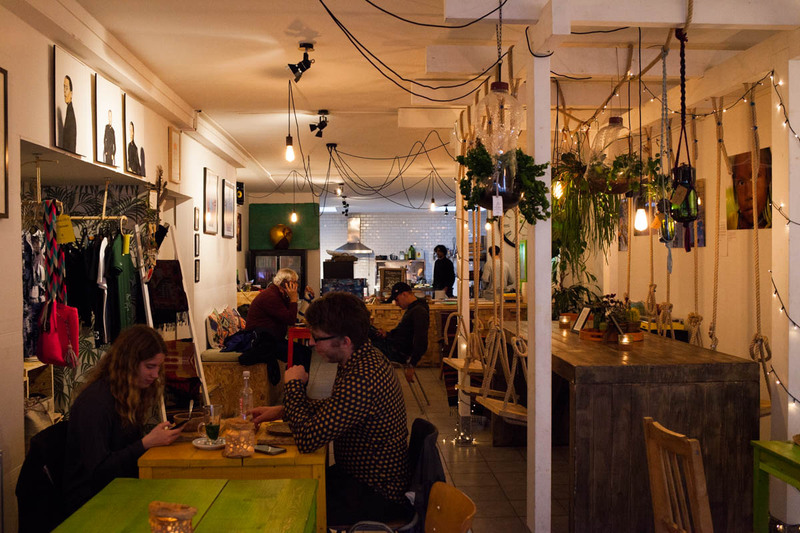 Creative space meets vegetarian restaurant. 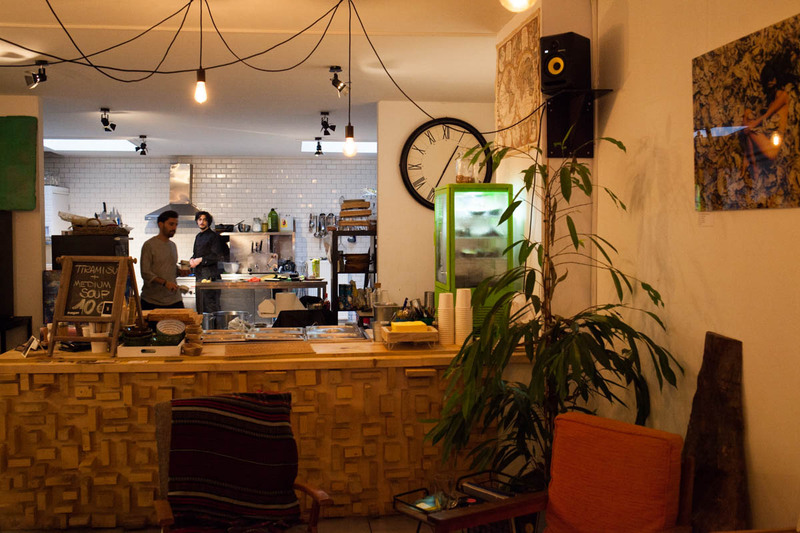 Hearth is the project of two amiable Italians, a place where besides offering great vegan/vegetarian food they are displaying art, streetwear, design and host music performances. 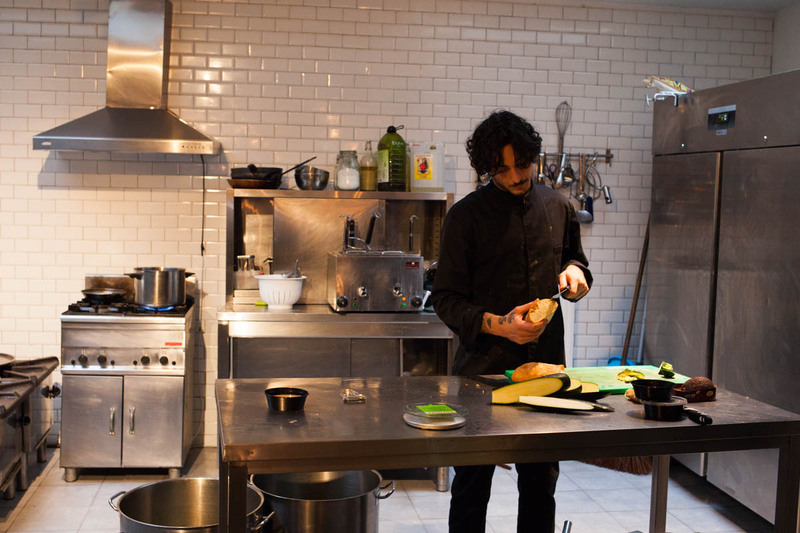 Owners Valentino and Marco met at the renowned Amstel Hotel where they worked respectively as a chef and manager. The name Hearth comes from the combination of hearth and earth, referring to merging things they are passionate about like art and design, with a sense of responsability for the planet. They opened Hearth end 2016. 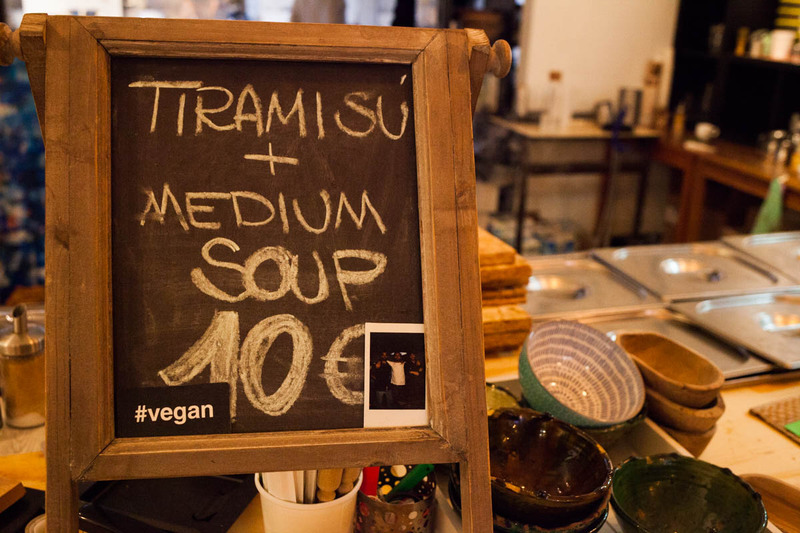 The main parts of the menu are their soups, pasta dishes and tiramisu, with different options and most of them vegan. Hey what about a parsnip gnocchi with courgette pesto and cashew-tarragon cheese. Or the vegan tiramisu with strawberries and dark chocolate! Other dishes include sandwiches and vegan sushi. 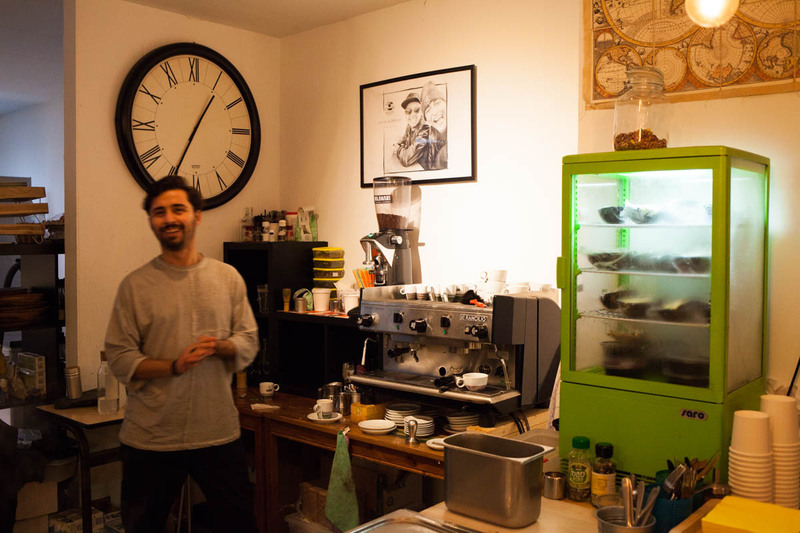 With the choice for certain dishes and ingredients, their Italian background clearly shows throughout the whole menu, which changes with the seasons. Eyecatcher of the place surely is the swing table/seats. 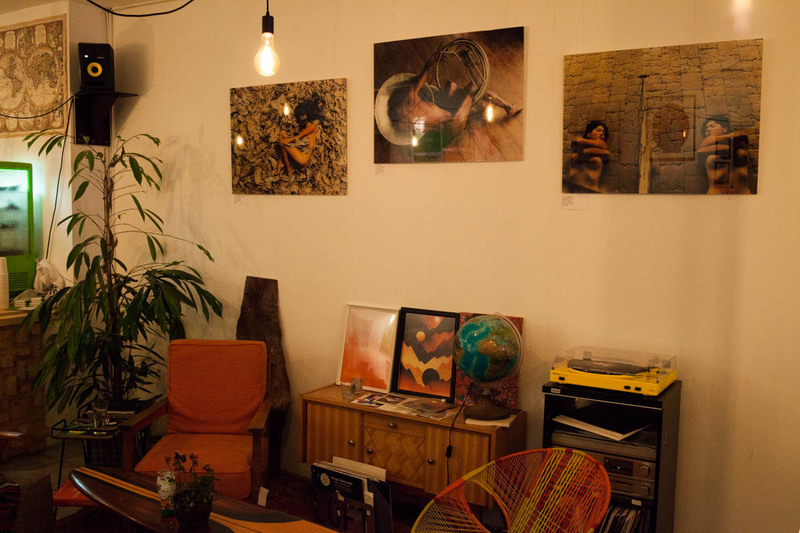 Plenty of plants, lovely vintage furniture and all kinds of art on the walls, makes it a pleasant space to spend some time. 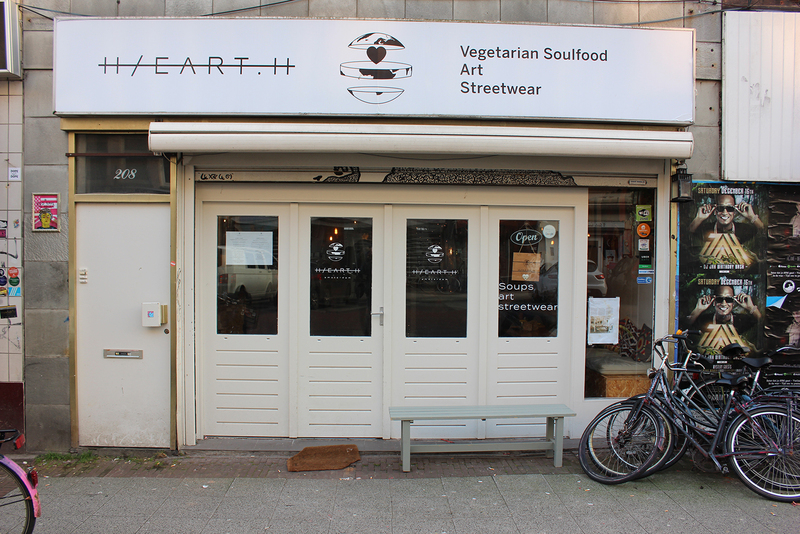 You’ll find Hearth at Albert Cuypstraat. By day hidden away by stalls from the famous street market, at night a tranquil street with just pedestrians and cyclists. 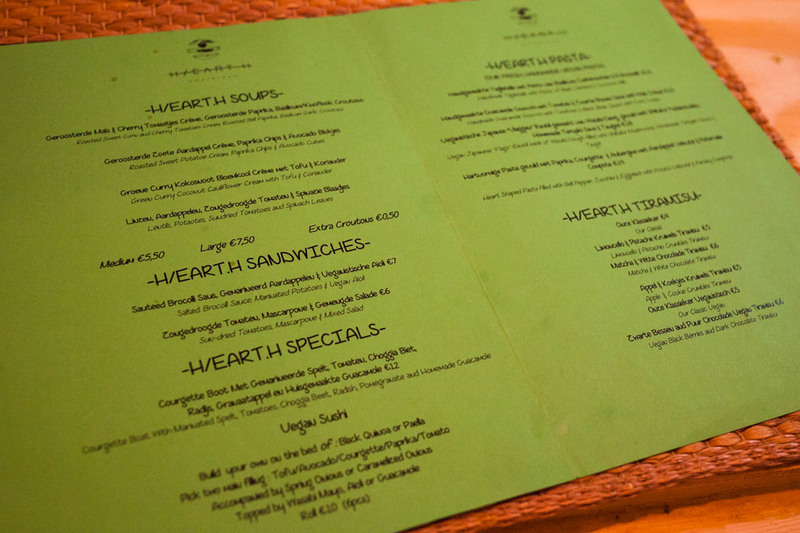 Hearth regularly hosts live music performances, for the agenda check here.